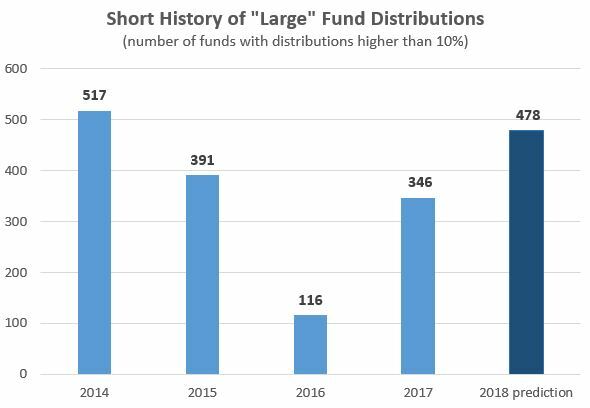 Are there going to be a lot of large capital gain distributions this year? 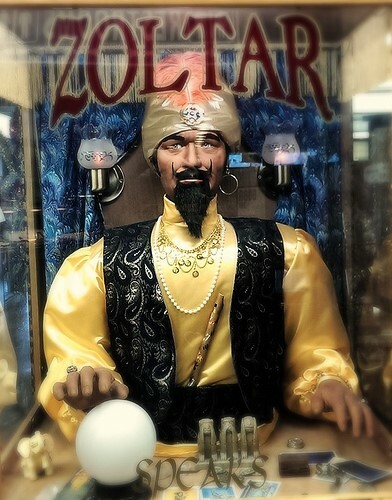 Phil Tetlock’s book “Superforecasting” provides a number of tools which can help us turn our wild guesses into reasonable predictions. Tetlock’s Superforecasters often started with a “base rate of similar occurring events” so let’s begin there. After tracking my own list of large capital gains distributions since 2014, I actually have some data to help select a base rate. The average number of funds with gains in excess of 10% has been around 340. That’s my starting point. There are gains on the books – We’ve had a decade of solid returns from the stock markets so funds have lots of gains to be realized and few losses available to offset these gains. Funds are seeing outflows and are forced to take gains – We continue to see flows out from mutual funds and into ETFs; these trades create additional realized gains for the remaining shareholders. 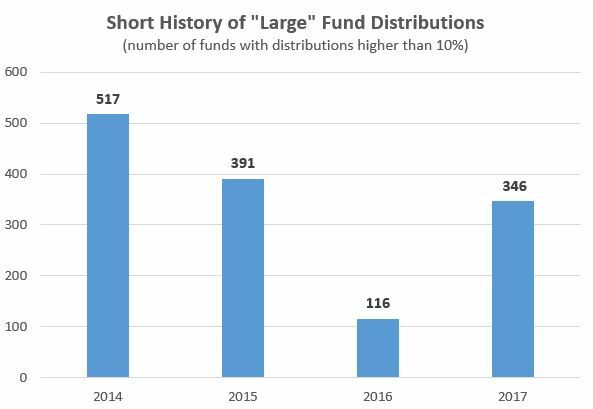 Early numbers are in – Some fund firms have already provided their distribution estimates and these numbers are ahead of last year. Admittedly, this is a little like predicting the winner of a running race after the first lap. 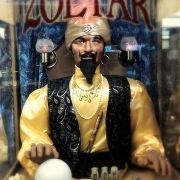 So… I’ll play the role of a TV pundit and predict that we’ll see 478 funds with capital gains distributions higher than 10%. Of course, (also like the pundits) I’ll have several reasons to explain why my prediction is off when this is the case. Either way, I think it makes sense to be monitoring your funds for large distributions and opportunities to save some tax dollars.